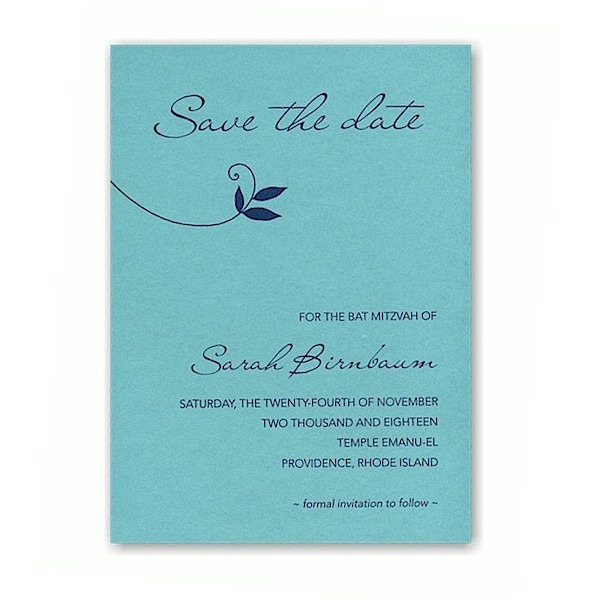 This stylish Save-the-Date card is printed on Bermuda Blue card stock and features a pretty floral motif near the upper left and below the words “Save the date.” Measures 4-1/2″ wide by 6-1/4″ high. Shown with Navy ink and Lettering styles Avenir Light, Lucy, and Avenir Light Oblique. This save the date card comes with single bright white envelopes.